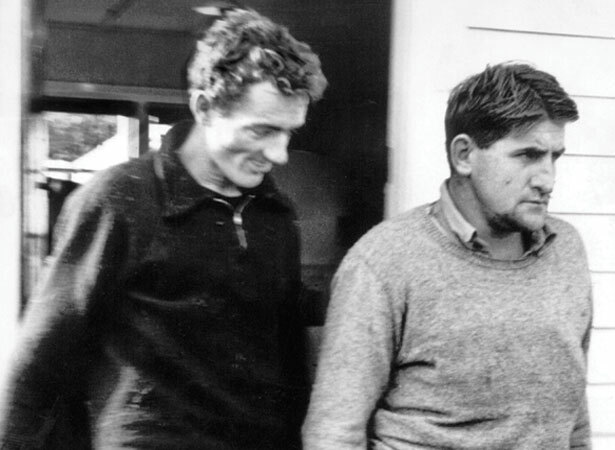 Wilder was serving time for burglary and theft when he scaled one of New Plymouth Prison’s highest walls in May 1962. While on the run, his ability to stay one-step ahead of the police caught the public imagination. The Howard Morrison Quartet later celebrated his exploits with their song ‘George the Wild(er) N.Z. Boy’. Recaptured in July 1962, he escaped on two further occasions, before breaking out of Mt Eden Prison with three others in January 1963. This time he managed to elude police for 172 days. Newspapers provided regular updates on his escapades before police finally caught him near Taupō. Wilder escaped from Mt Eden again in February 1964. Unlike previous breakouts, this one was short-lived. Wilder and two fellow escapees took refuge in a house in Mt Eden, only 1.5 km from the prison. After a tense three-hour standoff with police, the fugitives surrendered when threatened with tear gas. We have 3 biographies, 5 articles, related to George Wilder escapes from prison.